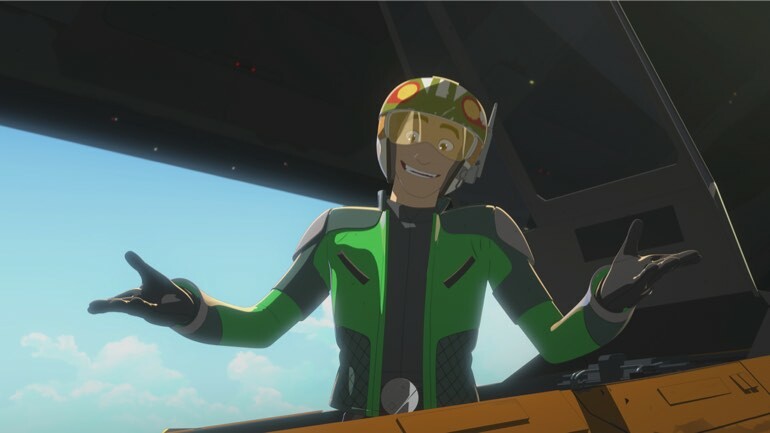 It appears as if Station Theta-Black will be the last new Star Wars Resistance episode of 2018, but Disney has announced that fans can still get their Resistance fix with a new series of shorts releasing this month. In fact, the first three Resistance shorts have already been released, and you can check them out below. There will be 12 shorts in total, and based on the first three, they’ll be about a minute-long and feature very lite plots that won’t be building upon the overarching spy plot that is currently underway on the main show. If anything, they’re little Resistance appetizers while we wait for the show to return from break. The first one features BB-8, and the cool thing about it is that it shows off what his perspective looks like. For the first time I think we get to see what a Star Wars droid sees, and in BB-8’s case, he pretty much sees the world the way we do, albeit with a light HUD border. The second one features a dart game between Kaz and Bucket, and it definitely ends on a funny note. The final Resistance short stars Neeku, who is getting rewarded by his boss Yeager. Stay tuned for more Resistance shorts as they become available.